This album of songs represents the fulfillment of my special dream, to present a bridge linking American Country music and French music. Country music has been pushed to several interresting limits in recent years,including country blues,country Rock,and even Country Jazz. It is my hope that "Country French" will enable the richness and beauty of both musical impulses to join together. With the French Country song, or "La chanson populaire", we sing about people,about life, about love. The lyrics are very important and meaningful , the melodies deep and moving. With American Country music, I feel very much in my element. Even such instruments as the steel guitar and Accordion are the natural echo to my emotions. Looking for original material was quite an adventure,the songs lyrics needed to depict a strong hearted woman with passion, and even if love had gone astray, I needed to tell about the rainbow after the rain. This quest all started with an obscure song written by the great Roy Orbisson called "Changes". Change to me is the fifth season. I love the song's simplicity and its hopeful outlook. I had listened to so many songs sent to me from across the country . I fell madly in love with the songs of John Neel, Skip Ewing, Tommy Polk, Donny Kees, Shawna Burkhart, Cindy Fee and Jim Weatherly. When a song like "Stayin' is the only way to go " tells me "Why don't we sit down and speak our heart and listen with all the love that's brought us this far? ", the writers have not only won my admiration, they have completely captured my heart as well. Singing two of my favorite American classics "Unchained Melody" and "Dream a little Dream" in French is meant is as a tribute to the American Music of which we French are so in love with. In recent years,country music's been linked with the Eagles,with R&B,with Disney songs,and even with rap-or have you forgotten Bernie leadon's hilarious band,Rn CNW?. Now,a French singer,who's won acclaim for her interpretations of Edith Piaf,Yves Montand and Jacques Brel,has decided to trade her beret for a cowboy hat. RAQUEL BITTON born in Marrakech Morocco and settled in San Francisco,is the singer,and "Changes" is her appropriately-titled album. It's a long way after all from Brel to Brooks & Dunn. BITTON however,sees and hears an obvious bridge between French ballads and country music. "My forte is telling stories," said Bitton. But the music of Maurice Chevalier and Michel Legrand isn't exactly top of the pops,and as Bitton confessed"I wanted to conquer radio". "I had to find a voice,and most important to me is lyrics.In American music,the mood,the style of the songs that appeal to me the most is Country."  Rather than cover hit songs,Bitton sought new material and placed ads in Country publications. She received some 400 responses. 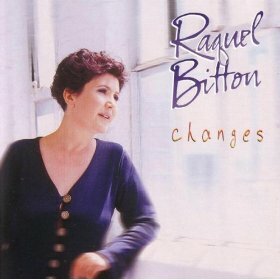 Although the songs on Changes are clearly rooted in Country,Bitton emphasizes that she has not attempted to sing country. She's simply taken country songs and applied her style to them. "I know I don't sound country," she says. "It's a tribute to country." Her usual small ensemble accompaniment-accordion and violin-fit the new songs perfectly.On "til' you found me"(the first single),She recalls, "I told arranger Bob Holloway,when the accordion begins,I want it to play with the fiddle,so it goes from the rive Seine to the Mississippi river. ".Bitton also does French renditions of "Unchained Melody"and "Dream a little dream of me."